Toronto Therapist: Erica Berman - Therapist M5S 1W5. Send A Message To Erica. Session Fees: Fees are usually covered by private insurance plans. 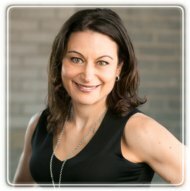 In my counselling I explore, with clients, what internal factors (thoughts, feelings, and assumptions) may be limiting positive growth and success, and also examine whether certain lifestyle changes can help them build resiliency, confidence better health, and achieve personal transformation. My approach is both collaborative and directive. While I recognize that some clients want nothing more than a safe place to discuss their thoughts and feelings. Others want and need more direction and input. My counselling incorporates strategies and techniques from CBT, narrative therapy, EMDR, and solution-focused therapy. I work with each client to determine which approach best suits their needs. I strive to be as open, objective and non-judgemental as possible and I welcome everyone, regardless of ethnic or religious background, gender identity or sexual orientation. I offer ‘walk’ therapy, along with traditional talk-therapy, for clients who want to combine the benefits of counselling with the physical and psychological benefits of exercise, or are simply looking for an alternative to the traditional counselling format. In addition, I am happy to do sessions via Skype or telephone. I am located in downtown Toronto (Bloor/Spadina and Dundas/University) that are easily accessible by public transportation. Location for walk therapy sessions is flexible. Session fees are covered by most extended health insurance plans. A reduced rate is available for clients without health insurance. Please feel free to contact me if you would like more information or would like to set up a consultation.